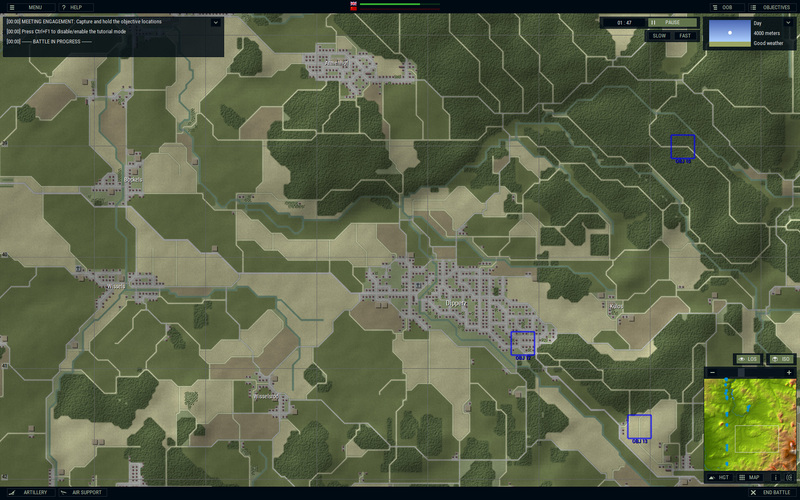 Status: offline Hello, my name is Dmitriy Maksimov and I am creating maps and an interface for the game Armored Brigade. For the past 10 years I have professionally practiced graphic design, illustrations and visualizations in quite a variety of ways, but mostly in the digital sphere. The genre of strategy has always been a complex genre, but the wargames, I think, bring this genre to the highest level of uniqueness and exactingness. Their unusualness lies in almost every detail of the game. Fans, and even just wargame-lovers, as a rule are very demanding people - they know many historical nuances, details and subtleties and are able to operate them. Such a nuance makes huge demands on the game, but at the same time it sets a certain challenge for creating a really interesting product. In my case, these challenges are maps. At the moment the game touches the years of 1965-1991, and the battlefield is Finland and Germany, the confrontation between NATO and the PACT. The classic story of the Cold War becomes hot. And in this period the maps are not less interesting (they are always interesting). 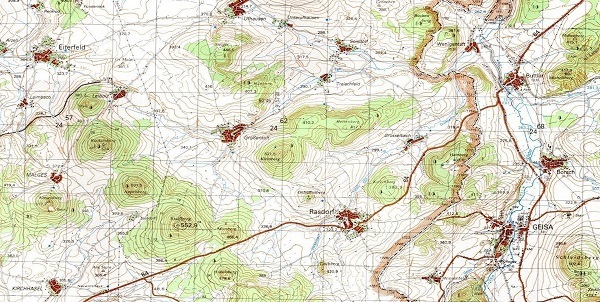 The creation of maps is based on the original sources of information. As a rule, they are scattered and not systematized. The search for any necessary information is akin to fishing: you never know where and when you will find the information you need, in sufficient quantity, especially with time, you come across more detailed information and have to make changes, but the game allows you to do this without any difficulties. Since that time, less than half a century has passed, so in the internet and other sources you can still find information, maps, photos from those places. To a greater extent, I was using Soviet military maps of that period (they can be found on different sites on the web), and knowledge of the Russian language and map symbols allowed me to navigate with ease. Since that time, not much has changed, so it is possible to base the work on current maps, but it is necessary to monitor the changes. 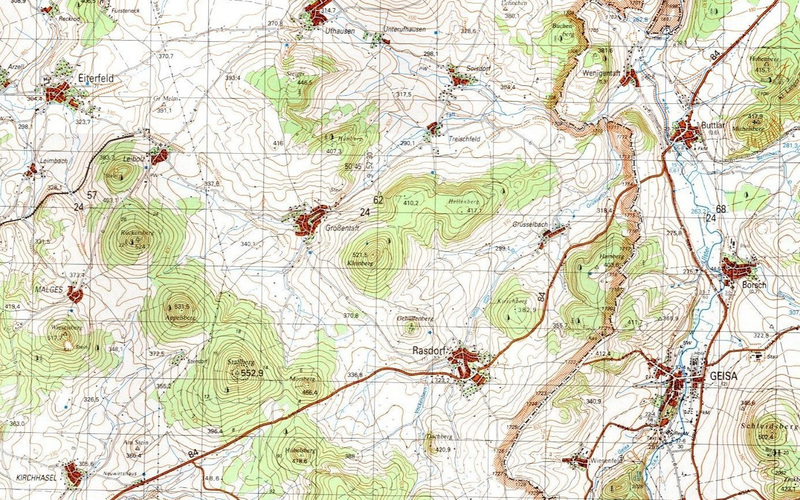 More precisely, to check what is shown on modern maps but did not exist in the 80s, and what existed in the 80s but is not shown on modern maps. For example, the Fulda-Kassel high-speed railroad in 1987 was not yet built, and the old Rhönbahn section of the Fulda-Gersfeld railroad has been turned into a bicycle path. E18 highway in the south of Finland did not yet exist, and highway 27 west of Hünfeld went a little differently. 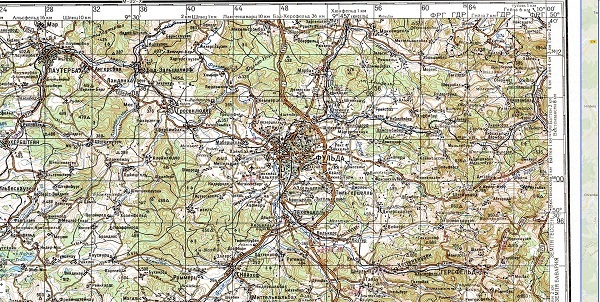 The world map changes every day, cities are built up, the roads are laid new ways, the railways are dismantled, houses are demolished and new ones built – each map is filled with such small details that convey the spirit of the times and create a difference between for example 1950 and 1980. Of course, not everything can be seized and something unavoidably will be missed, but I try to find such differences when checking different sources. 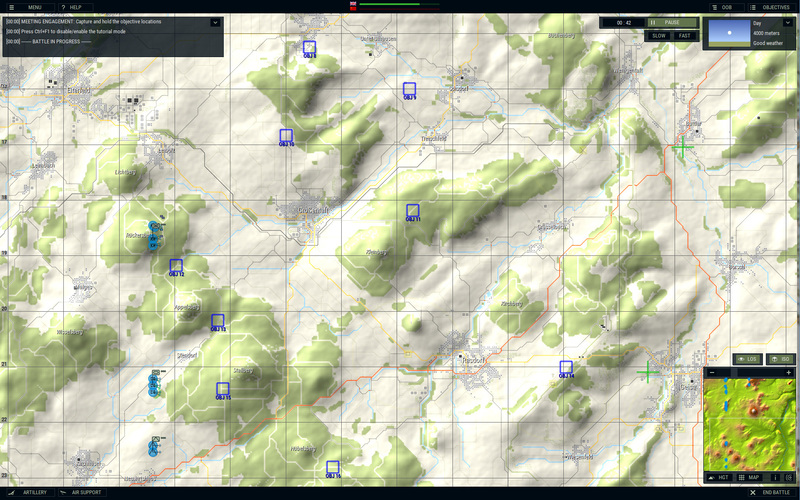 An important point in creating a map is creating the right terrain for the map. There are several ways where you can find a height map of almost any part of the Earth and some countries even officially distribute altitude maps (by the example of Finland). In any case, it is important to observe the scale and correctly interpret the height map. It must be combined with a real map and use the correct projections: in different wargames from time to time there are noticeable errors in the projections of maps and then the distances are not entirely accurate. However, this does not affect the mechanics of the game at all, but rather the question of authenticity. 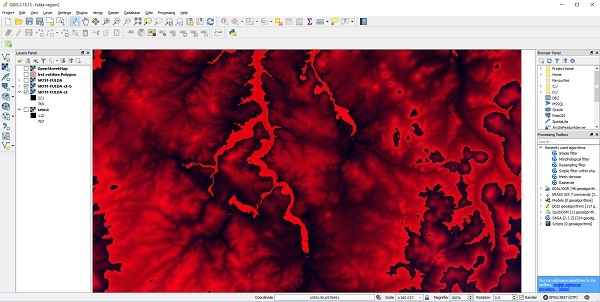 Knowing this and using professional software to interpret and display elevation maps, you can solve this problem, but still there are difficulties from time to time. I import some of the data straight from OpenStreetMaps, but I mostly have to go through the map manually. 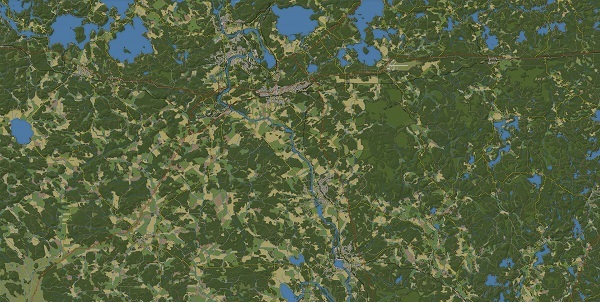 The game has a specific system of tiles and rendering of roads, buildings, rivers, lakes, forests and much much more. It's just that you do not digitize the data, but over time I have developed a large number of techniques, which greatly facilitated the creation of map objects. 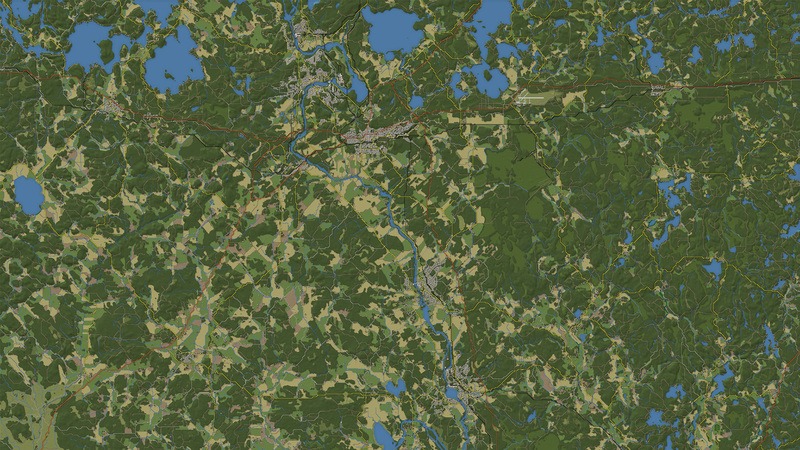 I also should mention the internal map editor, made by our leader and the only programmer of the project - Juha. The interface of the map editor is not polished yet, but rather for internal use, but thanks to it the creation of maps for this game became more like a classic urban planning simulator. You draw roads, houses, forests, rivers, lakes - the main thing is to adhere to real data, and the conditions of the landscape rendering system in the game, and everything will turn out fine. It seems to me that in wargames (at least in our game) there is a big difference between the level design and how it relates to real life.In ordinary games, the level-designer first of all tries to make the map more interesting, and he as an artist painting all its details with the calculation of how it would be interesting to fight on this map: how to hide a platoon of recon units between these trees, and then place a hill to open the view on the battlefield for means of Anti-Air units. In our game (as well as in some other wargames) we tried to adhere to a realistic landscape: if there is a forest with a footpath on a hill in real life, then in the game it should be the same. Of course, “the game” is primarily entertainment, but in our case we wanted to find interesting real world locations for fighting fascinating battles. That is, we took the opposite approach: we are looking for interesting reality rather than trying to create an alternate reality. For an enthusiastic person, the process of creating any kind of maps brings new sensations towards the created territory. It becomes something native, you know where the roads go and what shape this lake is, you get used to the arrangement of details. As if you live in this place, and when you look at the pictures from the region, there is a certain feeling of intimacy, as if you were here a long time ago. I think all cartographers have such a feeling and it does not matter if he draws maps for a game or draws for real life. After all, a similar feeling arises among all players: you playing dozens of hours in the game on the maps that have been created by someone and then, after a while, you return to the game, and because all that time spent playing in the past, it feels so familiar, and the feeling is just like of someone who created this map and spent the same tens and hundreds of hours as you played it. Status: offline Very interesting, thank you guys for putting together this post. Status: offline That's all very cool. Status: offline A 'must buy' item for me after reading this. Status: offline Hi Dmitri, thank you for sharing this very interesting facet of game development. Will the AB maps vary by time frame? 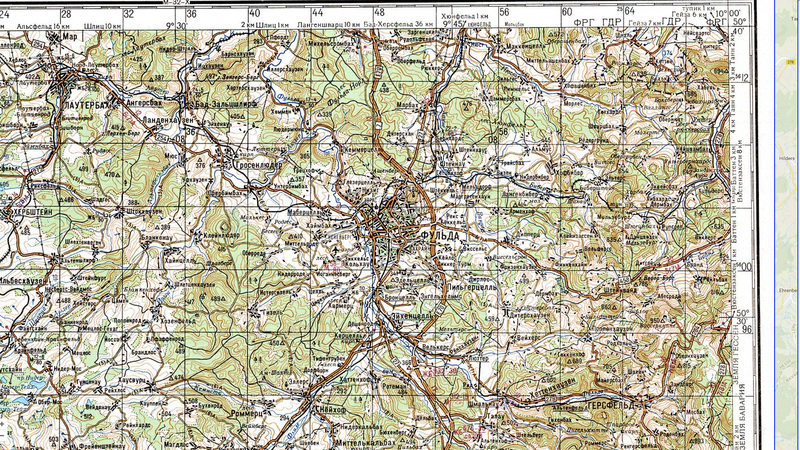 For instance, will a Fulda map in '76 be the same as Fulda in '87 (assuming there will be official scenarios for the given years)? Has there been (or will there be) a lot of abstraction from RL topography to suit playability? I can only imagine how meticulous and monotonous your work must be. I'm sure by now you are intimate with the areas you've been working on and have witnessed your maps progress and develop as they did in real life over the course of several years, if not, decades. I'm looking forward to the final product! Hi Dmitri, thank you for sharing this very interesting facet of game development. Hey. Thank you and sorry for the long response. I would really like to have maps at different times, but unfortunately we do not have enough resources to make a map for every year (however, the changes will not be so significant, but taking a lot of attention to details) also it have a problem in finding materials and data for specific periods. The choice of the map of the early and the middle 80s is due to the fact that on the Internet it is still possible to find maps of that period. And it will be easier to find it than maps of the 70s or 60s. I use a real map of heights, so if there is a hill in the sector, it will be there. The transfer of data to a height map has some element of abstraction due to the special system of tiles in the game. The roads have a more direct view and directions have less detail than in real life, but they repeat the basic form as it is. If the data were imported directly from the open street maps, then the map would have a rather monstrous road and river grid of 90 degrees turns (you can see it in the earlier versions of the game). You are right — there is really a lot of work there. And a lot of work to do. For an ordinary person, 60x60 km is quite an abstract value, until you start drawing a map in this size and at a resolution of 30m per pixel. Status: offline Excellent maps. I look forward to the release of this game. Status: offline Will we be able to make our own maps? Will we be able to make our own maps? Yes. The game reads .bmp images. Status: offline Reading this in December while doing a map work for Korean war mod, I think map making is really a grinding work, consumes good amount of manpower. Thanks for your effort. I wish if I can find the map like above for Korea. 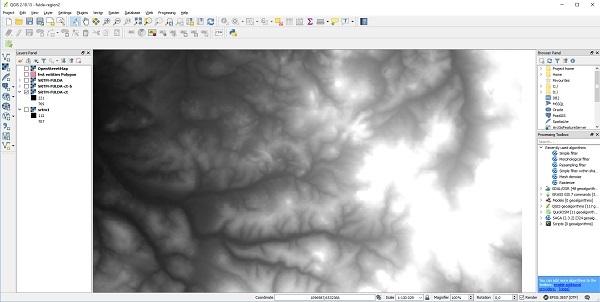 It seems better to recognize details of dirt roads and streams then satellite maps. It seems that height.bmp in QGIS is possible after all, I can't wait to learn how to make it. I searched and asked so many forums and stackoverflow regarding height map from QGIS, but couldn't find any useful info. I'm really waiting for map-making manual. 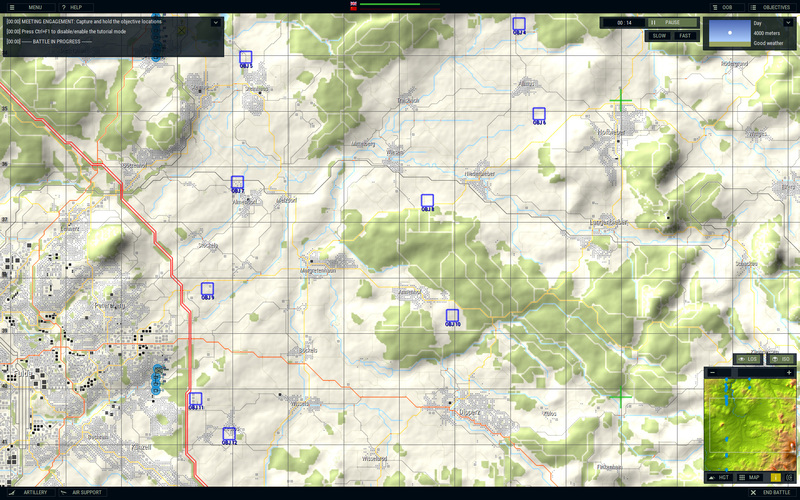 Reading this in December while doing a map work for Korean war mod, I think map making is really a grinding work, consumes good amount of manpower. Thanks for your effort. It seems that maps from your link also used the map from UT Austin. 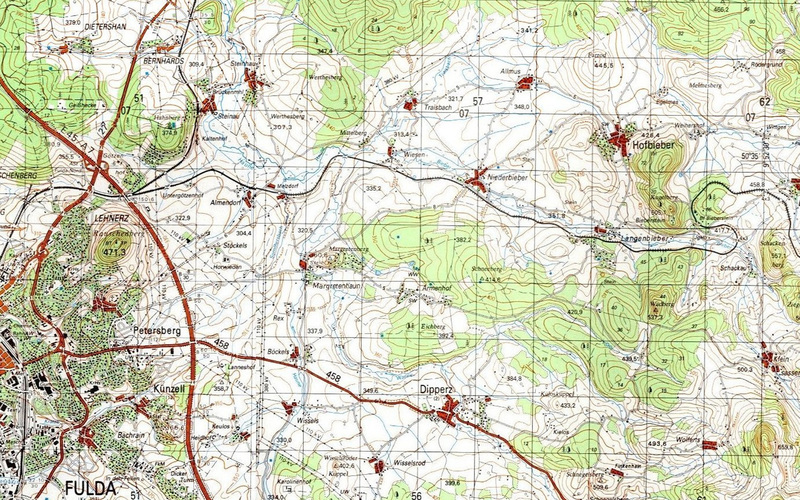 1) Maps are too old, I'm looking for 1980s or 90s version. So, for now, I'm just using satellite. But I'm still looking for alternative options. I have been collecting war games since the 1960s (board games by Avalon Hill, Strategy & Tactics et al) and 100s of computer games since the first pixelated versions on DOS. Armoured Brigade is one of the best games I have seen in a long time. Congratulations! The maps are really very good. I would like to see a version that models the current era in terms of modern weapons and technology etc. I hope that the product development path is pointing in that direction? I have a very deep interest in simulations. If your team could integrate and add an operational layer such as an "Operational Art of War" (battalions, regiments, divisions,army groups Corps etc.) much like Creative Assembly did with its titles Rome, etc...to your grand tactical Armoured Brigade game, this would be phenomenal.